Tucker Law has experience litigating the most complex legal issues. That is why you should turn to Tucker Law when you need a litigation attorney. Tucker Law cannot legally claim to have the best litigation attorneys, but Tucker Law may have the best litigation attorney for you! Tucker Law listens to clients to learn their business and technology goals. By paying close attention to their goals, the Firm works hand-in-hand to develop an intellectual property strategy that considers their complete range of intellectual property concerns. The Firm is structured to provide strategic counseling regarding validity, enforceability and infringement of intellectual property. Helping clients achieve both their intellectual property and business objectives is the Firm's principal concern. Tucker Law clients notice the personal service that is provided. Attorney Matthew Sean Tucker has a proven track record of advancing clients interests. This success is facilitated through the Firm's engineering-minded aptitude. In addition, the Firm has the right combination of common sense, technical prowess, and industry experience. Attorney Matthew Sean Tucker has a degree in electrical engineering. The Firm understands complex technology and Attorney Matthew Sean Tucker has experience handling the most complicated patent litigation, trademark litigation, and civil litigation. Tucker Law leverages the best technologies to provide clients with a competitive edge. The Firm would like to speak with you to answer your initial questions regarding the patent process. Please do not hesitate to call or email the office. To speak with a member of the Firm, call 954-204-0444. Car Accident Attorney and Personal Injury Lawyer Fort Lauderdale There is no such thing as a simple Fort Lauderdale car accident, which is why you should hire a Tucker Law Accident Lawyer. Your Tucker Law Accident Lawyer can help you recover your damages for your injuries. Tucker Law understands the difficulties that you face after a car accident, including mounting medical bills, lost wages, and vehicle repairs. The Firm has been witness to the catastrophic injuries that results from a crashes in Fort Lauderdale, West Palm, and Miami. Further, the Firm has seen the struggles that many victims are up against in trying to recover for their economic losses. And many attorneys will not take your case to trial and instead convince you to settle. Not Tucker Law. When you talk with your Tucker Law accident attorney, they will discuss the most prudent course of action. When necessary, Tucker Law is a law firm that is not afraid to take your cases before a jury. Contact a Tucker Law Accident Attorney to aide in the full recovery and compensation of your losses and injuries. Because the Firm is well-versed in Florida laws, Tucker Law can help maximize the compensation that an insurance company will pay to you. Slip & Fall Slip & fall accidents are a very common cause of serious personal injuries in Florida. Many Slip & Fall accidents cause injuries that are equal to or worse than a car accident. Some slip and fall injuries leave bumps and bruises that will fade in a few days or weeks. Too many other slip and fall accidents cause more serious injuries, including broken bones and head trauma. In many of these causes, the owner or manager of the property can be held accountable because their negligence caused the accident to occur. Failure to clean a spill by the fountain drink machine, failure to put a wet floor sign on a wet floor, or failure to maintain a staircase are examples of the type of negligence that are common in slip and fall cases. Personal Injury Attorney Matthew Sean Tucker can evaluate your case and explain your rights during a free confidential consultation. Tucker Law is familiar with the types of hazardous conditions that may cause slip and fall accidents to occur. Some examples includes: Wet Floors; Uneven walking surfaces; Poor lighting conditions; Loose carpeting or tile; Missing or defective stairs; Broken or missing railings; and Unexpected obstacles in walkways Dog Bite A Tucker Law dog bite attorney will tell you that Dog bites account for approximately 2 million injuries each and every year. With approximately 20,000 of those incidents causing hospitalization for broken bones, infections, and the like. In fact, infection is so common among dog bite victims that 20 percent all dog bites become infected. This is because violent microorganisms begin to grow within the wound. Many do not appreciate the risks until its too late. The Firm has been witness to horrific dog bites in Fort Lauderdale, West Palm, and Miami. Further, the Firm has seen the struggles that many victims are up against in trying to recover for their economic losses. And many attorneys will not take your case to trial and instead convince you to settle. Not Tucker Law. When you talk with your Tucker IP dog bite attorney, they will discuss the most prudent course of action. When necessary, Tucker IP is a law firm that is not afraid to take your cases before a jury. Contact a Tucker Law Dog Bite Attorney to aide in the full recovery and compensation of your losses and injuries. Because the Firm is well-versed in Florida laws, Tucker Law can help maximize the compensation that an insurance company will pay to you. Truck Accident Have you or a loved one been in a semi-truck, tractor trailer, or other truck accident? If so, you may qualify for significant compensation from the trucking company. Tucker Law helps clients who are suffering from tragic tractor trailer accidents. Typically, the injuries, along with pain and suffering, resulting from a semi-truck accidents is substantial. Tucker Law walks our clients through the claim process that results from tractor trailer accidents. When a semi-truck causes your injuries, the semi-truck accident attorney law firm at Tucker Law will take you through the entire process. Let a Tucker Law semi-truck accident attorney help you obtain justice against the truck company that caused your injuries. Tucker Law will hold the tractor trailer company responsible for their negligence! Choosing a personal injury attorney in Fort Lauderdale is an important decision. Let the Firm review your claim free of charge while you get to know our team. Remember, Tucker Law offers a no risk fee guarantee, which means you never pay Tucker Law from your own pocket. Contact Tucker Law 24-hours a day 7-days a week for a FREE CASE REVIEW. Prior to founding Tucker Law, Matthew practiced extensively on intellectual property matters across a variety of complex industries where his clients include first time inventors, as well as several clients holding multi-billion dollar patent portfolios. 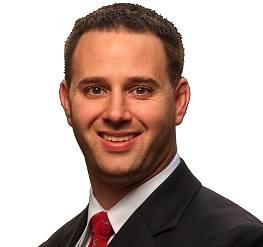 Matthew has routinely represented clients in litigation, patent prosecution and post-grant practice. Accordingly, Matthew's knowledge enables his clients to leverage many of the new procedures in the American Invents Act.